In the history of jazz, Eric Dolphy was the first innovator to develop a strikingly original yet different voice on three instruments: alto-sax, flute and bass clarinet. When Dolphy burst upon the New York scene in 1960, he already had over a decade of experience. Originally influenced most by Charlie Parker, Dolphy was part of Los Angeles' Central Avenue scene in the late 1940s. Virtually nothing was heard of him on records in the 1950s before he joined the Chico Hamilton Quintet in 1958, but by then he was ready for the big leagues. His associations with Charles Mingus and John Coltrane, along with his series of dynamic recordings for Prestige, gave him attention. His speech like solos on alto (which featured wide interval jumps), his pioneering of the bass clarinet as a solo instrument, and his flute playing inspired by the sound of birds marked him as a major innovator and a true original. His playing was consistently emotional, often-jubilant and always full of passion. Out To Lunch from 1964, his final studio album before his premature death at the age of 36, has long been considered one of his greatest statements. 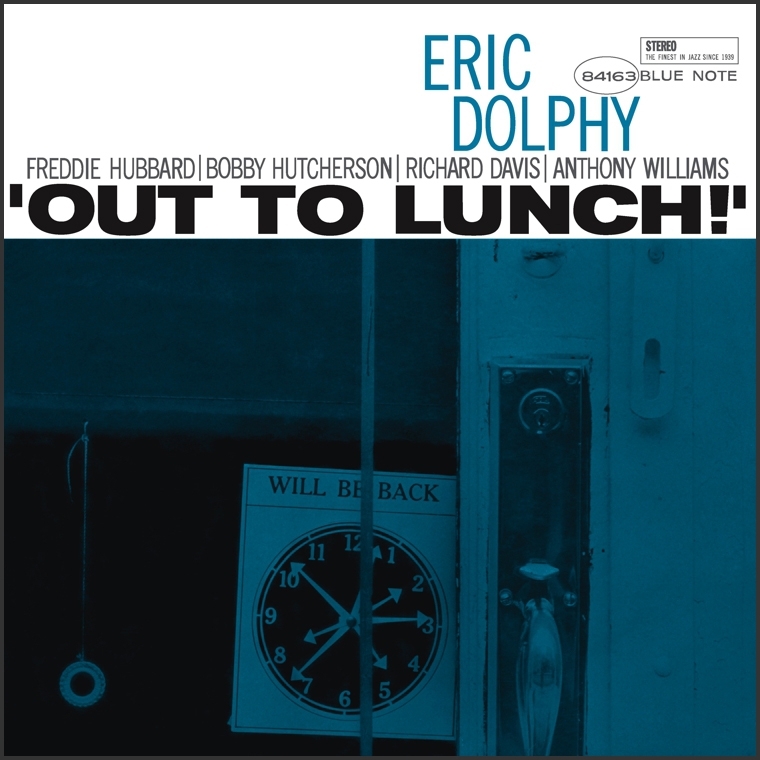 Not only is Dolphy heard at his most explorative and inventive on each of his instruments but he contributes five very original compositions including an unusual Thelonious Monk tribute ("Hat And Beard") and the eccentric "Straight Up And Down." Utilizing an all-star group that features Freddie Hubbard, Bobby Hutcherson, Richard Davis and a teen aged Tony Williams, Dolphy maps out a future for jazz that he would never live to experience. One can hear bits of such future greats as Oliver Lake, Anthony Braxton, Bennie Maupin, David Murray and James Newton in Dolphy's playing and writing but, truth be told, there was only one Eric Dolphy. Out To Lunch is his last masterpiece. See more Eric Dolphy records here.